Annie Wersching reunites with Kiefer Sutherland in the next episode of Touch, airing March 30th on FOX. 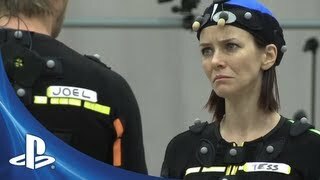 Watch Annie Wersching and Troy Baker perform a scene from upcoming PlayStation 3 title “The Last of Us” and see how Annie’s performance was put into the video game. Annie Wersching guest-starred as plaintiff Patricia Stanhope in Harry’s Law episode “Breaking Points” – although this is her single speaking scene during the hour, she features throughout the whole episode.